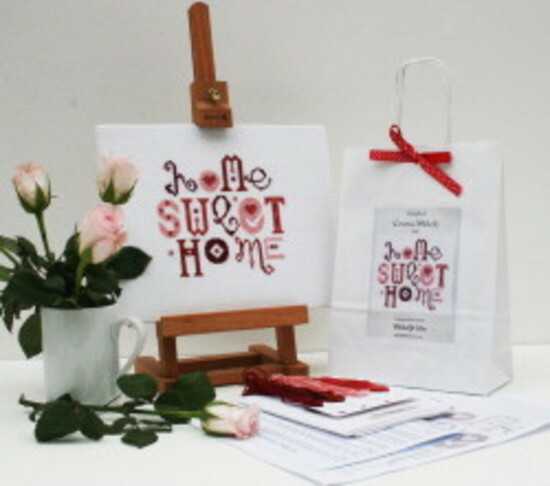 I am an artist and designer lcreating a fresh range of premium, contemporary cross stitch kits with an emphasis on colour and design. I am a regularly contributor to the 'Cross Stitch & Needle Work' magazine and have had my designs featured in, Sew Magazine, Cross Stitch Crazy, Cross Stitch World, Cross Stitch Collection and the Times Magazine. Drawing on my background in fine art I've strived to create beautiful images that would enhance any home, creating designs any wannabe contemporary crafter would be proud to display. My kits are aimed at the new generation crafters. My theory is that cross stitching is not rocket science, if I can do it anyone can! My kits contain high quality, colour fast materials so that once completed these samplers will stand the test of time. As a reward for your hard work you will be creating your very own family heirloom. My kits would make a perfect gift for the craft curious. They are hand packaged with loving care in a pretty gift bag style, sealed with a ribbon bow to appeal to all us girls that like pretty things. Look out for the ‘deluxe’ option of my kits, they contain the addition of an appropriate size wooded embroidery hoop and embroidery scissors allowing the lucky recipient to get started on their project without delay. I hope, like me, you enjoy many happy hours of stitching!